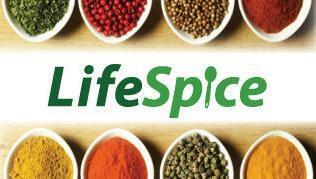 LifeSpice Ingredients is an innovator, developer and manufacturer of proprietary spice blends and flavor systems for the food industry. Our approach and philosophy toward solving your flavor challenges is based on the principle of balance. We understand that when things are in balance, there is harmony. Every proprietary spice blend and flavor system is manufactured in state-of-the-art facilities using the latest manufacturing processes. We use only the highest quality, freshest ingredients to ensure the consistent delivery of premium products. Organic, Kosher and Non-GMO Certifications are available upon request. -Our balanced approach enables LifeSpice to deliver functional seasoning products for snack foods with rich, creative and trendsetting flavor profiles that consumers find irresistible. LifeSpice's balanced approach utilizing the disciplines of culinary art and food science enables us to perform expert formula matching for our customers who are seeking new or diversified suppliers for their spice blends. LifeSpice can rapidly reverse engineer formulas and precisely replicate the taste, appearance and texture of existing seasoning blends and flavor systems. Whether your goal is to save money on an existing single sourced blend or to develop multiple suppliers to increase your supply chain security, LifeSpice can help you meet your goal. LifeSpice Ingredients invites you to use us as an alternative to your single source supply situation.